Are you in need of a Washington wrongful death attorney? The death of a beloved family member is a difficult time for everyone involved. These circumstances are particularly complicated if the death of your family member was the result of another person’s actions. In this case, you may want to consult with an experienced wrongful death attorney about the possibility of filing a wrongful death claim. When a death is caused by the negligence of another person, it is generally considered wrongful death. This negligence can take many forms, however. If your loved one was taken by the careless driving of another person, nursing home negligence, or any other form of recklessness or inaction, you may have a wrongful death claim. If you have a strong wrongful death case, you may be eligible to collect damages on behalf of your loved one and family. One important thing to note is that wrongful death claims are not criminal charges. They are strictly civil lawsuits which allow families to recover the costs associated with lost wages, medical expenses and pain and suffering. To find out more about what payments you may be entitled to, contact a Washington wrongful death attorney to discuss your case further. Car accidents are by far one of the most common causes of wrongful death. Most of these accidents are also because of the negligence and fault of another person. In the case of reckless and careless driving, not paying attention, or driving while under the influence, a negligent driver can be held accountable for the death of anyone involved in the car accident. Medical malpractice typically occurs when a hospital or a doctor cause injury to a patient due to a negligent act or even an omission. The negligence may be a result of an error during diagnosis, treatment, or the aftercare. Medical malpractice may result from a misdiagnosis, a premature discharge from the hospital, prescribing the wrong medication, and if the patient suffers from persistent pain following a surgery. Operating on the wrong part of the body, fatal infections while still in the hospital, and even not following up are also cases of medical malpractice. 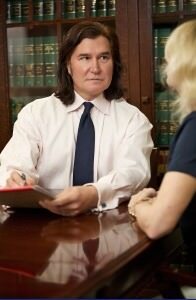 We do not handle medical malpractice claims but can refer you to an attorney who does. Nursing home negligence is very similar to nursing home abuse and when it results in death warrants a wrongful death claim. Immediate family, financial dependents, and anyone suffering financially may be able to seek compensation for this type of wrongful death case. Laws vary state to state regarding wrongful death, so it is important to discuss your case with a knowledgeable and experienced wrongful death attorney. Wrongful death due to nursing home negligence may be a result of improper care, lack of attention, serious infection, and understaffing. What Can a Washington Wrongful Death Attorney Accomplish? A Washington wrongful death attorney will help determine if the claim is applicable and whether or not it was the result of someone else’s negligence or fault. The attorney will help meet the burden of proof that is needed and will have to supply evidence supporting the claims that are made. Proving a wrongful death claim can be a long and complex procedure. It is important that you seek the help of an experienced Washington wrongful death attorney to help guide you through the process. The first step is proving duty. This means that the person filing the claim needs to prove that the defendant is indeed liable for the negligence. They must prove that the decedent was owed due care. Next, they prove breach of duty. This means all evidence must be presented to prove that the duty was breached. For example, prove inaction, negligence, and carelessness. Then causation will be proved meaning that they supply proof that the breach of duty was, in fact, the cause of the decedent’s harm. Finally, to prove damages, more evidence must be garnered to prove that the decedent truly suffered damages. In the case of wrongful death, the breach of duty and causation exist. They also resulted in the death of the decedent. Get the compensation you and your loved ones deserve. While nothing will ever bring back the loss of a loved one, it is still important to fight for your rights. Furthermore, gain justice for your loved ones. Wrongful death cases are tricky and complicated and require the aid of someone who knows the ins and outs. Someone who can effectively provide the documentation that is needed. Don’t leave your claim up to chance. Consult with a Washington wrongful death attorney today to get started. When you need an attorney you can trust, look no further than the Peterson Law Offices. Our experienced Washington wrongful death attorneys can guide you through the lawsuit process with skill and compassion. Our dedication to our clients is proven through our communicative business practices. We strive to give you the helpful answers you need, and we will return all phone calls promptly. For more information about how we can help you and your family, please don’t hesitate to contact us.